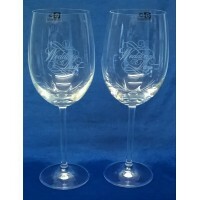 These very nice quality Gleneagles crystal wine glasses are etched with a classical Wedding Day de.. 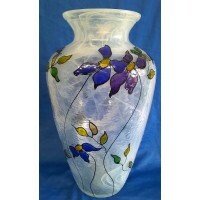 This wonderful art glass vase is decorated in a very pretty floral patternThe flowers are handpaint.. 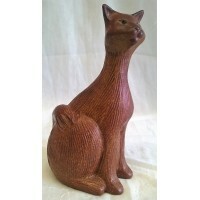 This wonderful stoneware cat looks to have been made by David Herd at Lonkey Moor Pottery in Cornwa.. 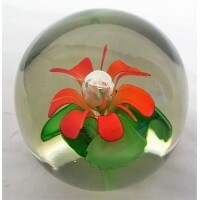 This 3” (7.5cm) diameter paperweight has a striking orange & green floral design with a nice c.. 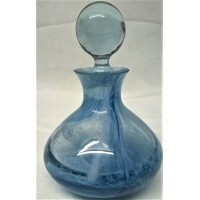 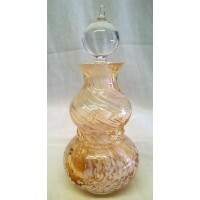 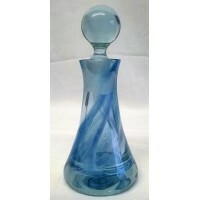 This wonderful perfume bottle is 4.75" (12cm) high to the top of the stopper and 3.5” (8.5cm) diam.. 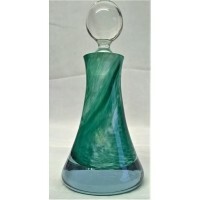 This wonderful perfume bottle is 5.75" (14.5cm) high to the top of the stopper and 2.25” (6cm) dia.. 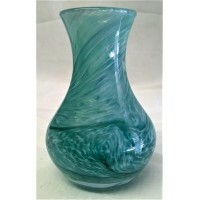 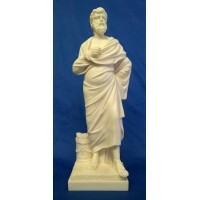 This wonderful little vase is 3.75" (9cm) high, 2.5” (6.5cm) diameter at the widest point and the .. 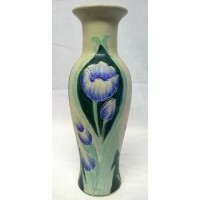 This striking art nouveau style pottery vase is a tactile hand-decorated piece with textured over-..